I know a couple of people who would go absolutely doolally over this bag. It may not be the most fashion forward item you’ll ever own, but its sleek simple lines, double seamed stitching and padded partitions will mean it will be a staple for years to come. I like the contrast yellow piping and the little yellow dog is sweet. 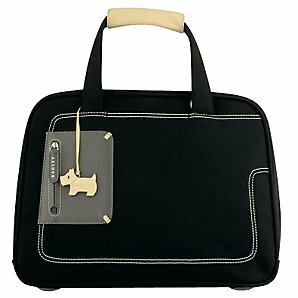 If you’re a Radley fan, this is definitely the bag for you.